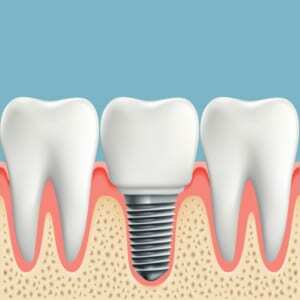 You have most likely heard of dental implants, especially if you are considering teeth replacement options. As one of the most versatile treatments in dentistry, patients have several options when considering implants. Able to replace a single tooth, multiple teeth, or even an entire arch, dental implants in Lone Tree are durable and long-lasting. At Metropolitan Dental Care, patients can undergo the entire treatment process in a single location. Today, we will explore the dental implant treatment timeline, and let you know what to expect during each stage. To begin, you will have a comprehensive consultation with Dr. Mike Norouzinia, our board-certified periodontist. He will assess your teeth, gums, and bone levels to determine your candidacy for implant treatment. During this visit, we will gather all essential information so that we can begin designing a personalized treatment plan. By the time the initial consultation is over, patients should have a basic idea of what their treatment timeline will look like. In some cases, preparatory procedures may be required. For example, if a patient has been missing a tooth for a prolonged period of time, he or she may require a bone grafting procedure before implants can be placed. In other instances, patients may require restorative work, such as periodontal therapy. The primary objective is to place the implant in a strong, healthy, uncompromised environment. If you have dense, healthy jawbone structure and no decay or gum disease, then you will most likely not need any preparatory procedures. When Dr. Norouzinia determines you are ready for your implant surgery, we will schedule a day for you to visit our office. After administering local anesthesia, a tiny incision will be made in the gums. The jawbone will be prepared for the implant using a series of small dental drills. The implant will be strategically placed within the jaw, and the gums will be repositioned with stitches. Not all patients will require a temporary restoration. However, if your implant is being placed in your smile zone, we will fabricate something to fill in the gap while you heal. Temporary restorations can range from temporary partials, provisional crowns, Essix retainers, and more. Dr. Norouzinia will determine which type of temporary restoration will be most suitable for your unique case. After the dental implant placement, most patients are comfortable within a few days. However, it is important to note that – in most cases – a few months of healing time is required before the final restoration can be attached. During this time, your jawbone tissue will fuse to the surface of the implants – a process known as osseointegration. This will provide a strong foundation for your restoration later. You will visit our office for occasional follow-ups during this time to ensure that your healing is going smoothly. When the healing period is over, you will undergo a quick procedure to add the abutment – or small connector – to the implant. The abutment will extend just slightly beyond the gum line to serve as an anchor for your dental crown, bridge, or denture. Once the restoration is attached, you will be able to use your implant just like a natural tooth. If you are curious about what dental implants can do for you, schedule a consultation with our Lone Tree dentist. After an initial consultation, we can let you know what your treatment timeline will look like. In addition to Lone Tree, our team is proud to serve the surrounding communities of Centennial, Highlands Ranch, and Parker. Contact us online anytime or call our office at 303-534-2626.